In this weeks GeriPal podcast, we interview Dr. Barak Gaster, Professor of Medicine and General Internist at the University of Washington in Seattle. Dr. Gaster felt like there was hole in the advance directives landscape around future planning for people with dementia. People with dementia experience a fairly common set of complications and decisions around feeding, loss of independence, and loss of ability to make complex decisions. His dementia specific advance directive has specific sections for care preferences for persons who progress through stages of dementia, including descriptions of mild, moderate, or severe dementia. So many key points he makes in this podcast, you'll have to read below or listen to the audio to learn more! 1. The directive is free to use, does not require a notary signature, and works synergistically with the POLST, Prepare, and Video decision aids. He makes a major point about the need to "de-legalize" advance directives. Right on. 2. He describes how he published on the idea in JAMA, and was disappointed with the uptake. It wasn't until Paula Span wrote about it in the New York Times for the New Old Age that downloads and uptake of the advance directive exploded. Attention academics: it's not enough to publish your work, you have to get the message out to the people! Lynn: And this is Lynn Flint. Eric: And, Alex, who is our guest today? 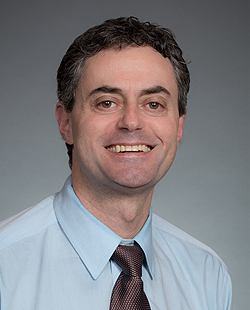 Alex: Today we have Barak Gaster, who is a Professor of Medicine and General Internal Medicine at the University of Washington Seattle who has created this unique advanced directive for dementia. Eric: Wait, wait, wait. Before we get into that, Alex, you're skipping the song. So, Barak, we always ask our guest to give Alex a song to sing to start us off. What's the song for today? Barak Gaster: How about Young Pilgrims by The Shins? Barak Gaster: Yeah, that was great. Alex: Shins are great. Shins are great. Eric: So why that song? Barak Gaster: It's just always been one of my favorite songs. When my daughter was about 10, for some reason she got really, really into that song and we just listen to it a lot in the house and it's just always been a big favorite. Eric: Okay, Alex. What were you saying, something about dementia directives? Alex: Something about advanced directives for dementia. Lynn: How did this discussion come about, is that the question? How did this meeting come about? Alex: Yeah, tell us more. Lynn: We're gonna ask Barak how he came up with the idea for this project, but I know I got an email from Barak a couple of months ago saying, "I stumbled across your talk on YouTube," which shocked me. I gave a talk about palliative care for people with dementia to a community group down at UC Irvine and I had recently read about Barak's ideas to create these new advanced directives for people, should they develop dementia. So we were gonna meet and talk about that and I thought we should do it on the GeriPal Podcast. Alex: Terrific. So, Barak, tell us how you developed the idea. What drove your interest in developing an advanced directive for dementia? Barak Gaster: I've been doing primary care for about 20 years now and have always tried to make advanced care planning one of the big parts of what I do and for sure one of the most difficult situations that you get into doing advanced care planning is advanced care planning for dementia because it's just such a long time horizon where people have gradually decreasing quality of life and have lost the ability to make medical decisions for themselves. They were just time and time again just really uncomfortable, hard, really heart breaking situations where families are just struggling to try to guess what their loved one would have wanted in terms of goals of care once they develop moderate or severe dementia. So just play out let's try to imagine your loved one from 10 years ago looking down on themselves now and what do you think that they would say that they would want for themselves and just started to realize, gee, what if we had actually a directive that somebody had filled out 15 years ago so that instead of guessing what they would want, we actually had something written down that could help guide us. Lynn: It sounds like there was something really specific about dementia that struck you, that there was a gap in terms of advanced care planning. Could you talk a little more about that? Barak Gaster: Yeah. In some ways, you say, gee, do we need a directive for COPD and a directive for end stage renal disease and why does dementia really jump out as really a prime diagnosis disease where advanced directive could really help and it really is this incredibly long time horizon that people live with often really decreasing quality of life, decreasing ability to interact and be independent and do all of the really basic activity, self-care things that people think of as really part of who they are and their identity. They lose that for many, many years in a way that is really unique. That there are not many other common conditions in which that comes up. The current standard advanced directives that are out there focus so much these rare conditions like persistent vegetative state or permanent coma or imminently terminal condition that just don't apply to dementia at all. Alex: So it strikes me that dementia, unlike COPD, heart failure, cancer, is a condition where you lose the ability to make those in the moment decisions as time goes on and your severity of illness worsens. When severity of dementia worsens, you lose the ability to make those decisions. So advanced care planning is an essential part of the condition in a way that you could just keep going back to people with other severe illnesses and asking them for their preferences in the moment. Alex: Go ahead, Lynn. Okay, I was gonna ask so talking about dementia in particular, let's talk about the landscape and what you saw in terms of a need for a dementia-specific advanced directive, because I think there may be a few others out there. There's a guy named Stan Terman who has a pocket card game. Alex: Playing cards and other directives that are focused on dementia. When you were starting this out did you look out there and survey the landscape and say I still think there is a need for something specific here? Barak Gaster: Yeah. To me, my main goal from the very beginning was trying to come up with something that was brief and concise and easy enough to have a low barrier to get more people to do it. There's definitely a subset of people who care so much and think so deeply about this that they're willing to fill out the much more complex, probably more iron clad versions that are out there, but I really wanted to come up with something that a large majority of people would be able to fill out easily and quickly just because there are so many people who have really strong ideas about the medical care that they would want if they develop dementia. Especially if they've had personal experience taking care of people with dementia and just overcoming that initial energy activation to get people to fill something out and express those wishes and communicate them to their loved ones was my main goal. Keep it short and easy. Eric: So what did you actually do? What's in this directive? Barak Gaster: I also really started out with the concept that you can't really have a directive that says, "If I have dementia, I want this. And if I don't have dementia, I want that." Just because dementia is such a slowly progressive disease that goes through phases where people have really different independence and quality of life such that it would make sense that people's goals of care, their wishes for what they would want for medical care would gradually shift as their dementia got worse. So the directive is structured to have a brief description of what mild dementia is like, and a brief description about what moderate dementia is like, and a brief description about what severe dementia is like. And then under each of those brief descriptions, it gives the same four options for what the goals of care you'd want at that stage of dementia would be. Lynn: I have a question. I do a lot of clinical work in nursing homes and I think one of the ... when you look back at the discussion over the years about advanced directives, particularly for people with dementia ... is this concept of personhood and the idea that somebody may have certain preferences at a time when they don't have dementia or don't have a severe cognitive impairment. They may have an idea about what their quality of life would be like with advanced dementia and then they get to that point and family and caregivers may have a totally different concept of what that person's quality of life actually is when they've gotten there. Does that make sense? Barak Gaster: Yeah, absolutely. This is something that I've talked to people about a lot and struggled a lot with. There was definitely a development process to come up with this document that involved input from lots of really smart people who are really experienced in the fields of geriatrics and palliative care and primary care and neurology and psychiatry to try to find the right balance of how you describe these stages of dementia and it's true that trying to anticipate the myriad scenarios that people could be in, in terms of their state of mind in a future state when they have dementia is really impossible. So that's why this is really designed to be an informative communication tool to help people have structured conversations with their loved ones and then document, to some degree, what they think their wishes would be. These documents are never going to be binding documents that would in any way overrule what a family is guessing their loved one would have wanted. I think the key point is just the opportunity to have a document like this to help to inform those future decisions is invaluable and it's important to frame them as not set in stone. It's important to frame them as this is an opportunity for you to have this conversation with your family now and that in the future if somebody seems like they are absolutely loving life with moderate dementia, and you're filling out a POLST form, you're not bound to use this directive. But I've just been in so many situations where the family is just so fraught with anxiety and just pain, trying to make these decisions. Eric: Rebecca Sudore talks about it that there's this concept of leeway, giving family members leeway in making these decisions, so even if somebody says that they want one thing, making sure that family members understand, for many patients, that patients want their family members to have leeway in deciding what they would want, given that we can't predict exactly what the future has in store. And, this is true for every advanced directive, people adapt to new situations as we generally rate our quality of life as lower for our future self if we had a disability than our future self would give our quality of life with that disability. Eric: I thought it's really interesting. You broke it down into these three different stages. Stage one, stage two, and stage three. Stage three is severe dementia. And then they're basically the same check boxes. To life as long as I could, to receive treatments to prolong my life, but if my heart stops beating, DNR, do not place me on a breathing machine, to receive care in the place where I am living, I would not want to go to the hospital even if I were ill. And the fourth one is to receive comfort care only. I thought it's interesting that the only one that had the reason why, so under to receive care in the place where I am living. I would not want to go to the hospital even if I were very ill. You put a reason why in there and that reason why isn't located anywhere else and you had a great New York Times piece too about this directive and the one, going back to Rebecca Sudore again, the one thing she mentioned in that New York Times piece is at the bedside, the why is really important. That for family members, not only knowing what the preferences is for their loved one, but why did they say that, is really important. Why is the why only for that one? Eric: You're right, I missed that. The second one has a reason why, too. Barak Gaster: Right. That was definitely something that came up in the development process of this document, that it needs to have the reason why built into it as much as possible. We don't have reason why for the first one, which is I want everything reasonably medically done to keep me alive longer or that I want comfort care, in that hopefully the reason why for those two are either so complex that it would be hard to boil down or so obvious that we don't need to, but felt it was really important to try to build that reason why into those intermediate goals of care because it is so much about trying to express people's values more than just the check box of interventions. Alex: Terrific. I want to ask about your choice again of these four categories and I'm thinking now of Angelo Volandes, who has ACP decisions, this videos together with advanced care planning documents. You've probably heard of these, Barak? Barak Gaster: Yeah. Yeah, they're great. Alex: His four categories off the top of my head ... I don't have it in front of me either ... include, I think three of them are the same, but there's another one. Instead of the living in the same place where I'm living, he has focus on function and maintaining function as long as possible is my recollection. I'm wondering how you thought about choosing the focus on being in one place versus other possible choices. Barak Gaster: A lot of it was really working with people who worked a lot with dementia and thinking about the dementia-specific aspects of care in which, in those situations, it is the incredible trauma and delirium and harm that come from visits to emergency rooms. So I wanted to really build that in as a decision point intervention. And also thinking through that issue of antibiotics because that is very often one of the most difficult decisions, as people are approaching having comfort only as their goal of care, the question of what role does antibiotics play in that setting. So really wanted to build in the idea of, well, what if you could give me antibiotics in the place that I'm living. Maybe that would still be something that I would want. Lynn: I think certainly that choice really rings true for nursing home care especially and it highlights, I think, one of the limitations in our healthcare system, which is that to receive hospice services, dementia has to be so incredibly advanced that there's a lot of people who end up in that in between zone where families choose that they wouldn't want to have their loved one transferred or that they wouldn't have wanted to be transferred, but maybe can you try to do some things that are minimal to moderate burden to try and get them over this hump or keep things as they are. So I think that that does really ring true for the typical trajectory. Alex: And just to be clear for our listeners who may not have this in front of them, the third choice here says, "To only receive care in the place where I am living, I would not want to go to the hospital even if I were very ill and I would not want to be resuscitated. If a treatment such as antibiotics might keep me alive longer and could be given in the place where I was living, then I would want such care, but if I continued to get worse, I would not want to go to the emergency room or a hospital. Instead, I want to be allowed to die peacefully." That's a really nice phrasing. It encapsulates what you were talking about, Barak, and it came from the lived experience of people and families with dementia. Barak Gaster: Yeah, and I'll say we worked on that wording really, really hard. I had input from a lot of people and it went through many, many iterations and feel good about the way that it ended up landing. Eric: All right, so, question. This feels like it's very disease oriented. We're talking dementia and that feels traditional in medicine, like people have a primary disease that they're dealing with, when in truth, even people with dementia, they're dealing with multiple other diseases at the same time. They could have moderate dementia, but they also could have advanced heart failure, COPD. I work at the VA and they probably have COPD, diabetes, heart failure, everything. Is this the right model? Because people have multiple comorbidities and sometimes dementia is the primary terminal illness, but sometimes it's part of what they have. Barak Gaster: Yeah, yeah. That's a really good, important point and I think that the way that my thinking has evolved and the reason that I do think that a dementia-specific advanced directive is an important step to take is that even people who have many comorbidities, I think a really important way for primary care, geriatric care to move is to be thinking more and more of dementia as an organizing principle for setting somebody's goals of care. And that somebody may have CHF and they may have renal disease and they may have COPD in addition to dementia, but to such a large extent, it is the dementia that is setting a course for what their quality of life is in terms of how interactive they are with their loved ones. Do they recognize their loved ones? Are they able to clean themselves up after they go to the bathroom? Those are really key important values that many people have in terms of how they would value their life. So that, to me, even though they may have other comorbidities in terms of setting a goal of care for their medical treatment that I think it is a useful and important way for us to be moving towards having dementia being the organizing principle in setting those priorities and goals. Lynn: It sounds like you're using this in your practice and it's out there for people to use and I wonder what the experience has been like so far? Barak Gaster: Yeah, it's been a totally amazing experience. I thought that when it got published in JAMA that it would get a lot of attention and the interesting experience is just not that many people actually read JAMA, whereas when it got picked up by the New York Times, suddenly it really just exploded. And so within the first week or two after the article was written about in the New York Times, really we were suddenly getting thousands of downloads of the directive per week. That's tapered off some, it's now down to about a hundred downloads of the directive per week, but altogether there've been more than 55,000 people have downloaded the directive and I've just been flooded with emails from people. My email address is on the website where you can download the directive. Just been flooded with emails from people. Lynn: I was gonna say, I was in Berkeley giving a talk to the Department of Psychiatry, which was a very mixed discipline group and I was talking about palliative care for dementia and somebody raised their hand and said, "Oh, has anybody here heard about the new advanced directive for dementia?" And a bunch of people in the room said, "Oh, yeah!" And this whole group of community providers as well. So it's out there, it's definitely out there. Barak Gaster: It's really an example of grassroots moving the needle, I think. I think that to some degree, us as primary care doctors or geriatricians, palliative care doctors, we get this and we think it's a good idea and we think about how could we implement it into our practice, but getting it out to the public really touches a nerve. This is a disease that is on people's minds in such an increasing way and they have really clear ideas about what they would want. The beautiful work that [inaudible 00:24:02] has done in Boston really highlights just if you show people either a video or a written narrative about moderately severe dementia, more than 70% of people say that they would want comfort-oriented care only. And that's just not what's happening in practice and it really is touching that nerve that people have out there that I think is really interesting and good for us as healthcare providers to be aware of. Eric: And I love this because it really does change the thinking to start talking about this very early on when you still have that choice. Now, let's say I want to use this. Is there a website I can download this at? Barak Gaster: Absolutely. If you go to www.dementia-directive.org the form is there to download and click a button, it's free. And I really encourage people to share that URL with people just so that I can keep somewhat of a track of how many people are using it. It's also perfectly fine to download it and make copies and hand those out, too, but the more that people are using that URL to share the info about it the better just because that way I can have somewhat of a sense of how much it's out there. Eric: Great. And if I wanted to do this in my healthcare system, can I just make copies or do I have to pre-authorize it with you? Barak Gaster: No, not at all. My goal from the very beginning is to have as low a barrier to getting this out there and having people use it. I copyrighted it only because I wanted to make sure that somebody didn't put a whole mini mental status exam on me and and start charging people for it. My goal is really for this to be free and to be used as much as possible. I have no problems at all with people making copies and handing out to their patients. This is a really important, positive impact that we really could be having on these difficult conversations that we will be having in the next 10 or 15 years. Alex: Could you talk a little bit about legal acceptance of this document as an advanced directive document across states and how this fits in with the landscape of advanced care planning in terms of prepare for your care, POLST forms, an existing advanced directive somebody might have, would this be a replacement, et cetera? Barak Gaster: Another really big goal for me as I embarked on this was to really make this as much a usable, accessible living document as possible. Really with the whole concept of de-legalizing advanced directives as a core principle goal, such that it's good to talk about this as not a legally binding advanced directive, as does exist in each one of the 50 states. Each state has its own legislatively sanctioned advanced directive and this is designed to be a supplement to that. In and of itself, as a stand alone, is not legally binding. It's really more in line with the conversation project approach, which is to give people a structured way to have a conversation and to document some of the outcomes of that conversation with their loved ones. We struggled hard about should we have a place on here to have it witnessed or notarized and really from that de-legalizing the living will concept, there isn't a place, but I would certainly encourage people to do that if they wanted a little bit more assurance that it would stand up to being contested. But really just as a conversation tool is really where it's at, and that thinking of it as a supplement to each individual's state advanced directive is probably the best way to think of it from a legal point of view. Eric: Yeah, I love that, too. Charlie Sabatino, just a great thinker around advanced directives, a lawyer. He also describes how historically this is considered a legal transactional approach and what we really need to move forward towards is this should actually be more of a communication approach when we're thinking about advanced care planning, even when we're thinking about advanced directives is that the old model of a transactional approach, a legal approach, just doesn't work. Barak Gaster: Yeah, the whole idea that you need to go to a lawyer to fill a form like this out and that it then gets locked away in your security deposit box with your actual will and nobody really knows what it says, nobody is really even sure whether they have one or not. Your physician certainly doesn't know whether you have one or not. Is absolutely just the wrong way that we should be thinking about advanced directives. An advanced directive like a dementia-specific advanced directive is really just a way to trigger people thinking about what they would want, talking to their loved ones about what they would want, and then writing it down and giving copies to their loved one and giving copies to their doctor who can then put it in their medical record so that 10 years down the road if they are in this difficult dementia situation, that there is something to look back on to help guide what we do. Lynn: I wonder if you could tell us a little bit about how you're implementing this in your practice. Who are you selecting to have this discussion with, how are you opening the discussion, how are you finding time within your busy practice to incorporate this piece? Barak Gaster: That's such a great question because it was a really interesting process as I thought about developing a document like this. My initial thought was that wouldn't the most important time to bring a document like this out be at that very earliest moment when you're first diagnosing somebody with dementia and you're sure that you're gonna need a document like this in the future. So my first attempts were bringing it up with people, with my patients who had very early stage memory loss and time and time again they would nod and say, "Thank you, yes, I'll take this home and I'll think about it," but I never would get it back from them. And I think it's a really complex process of both the fear and the shock of trying to grapple with this new diagnosis and just the cognitive process of imagining a future state of yourself and then imagining different abstract scenarios that that future state of yourself could face is a pretty high executive function process that I think is really, really difficult for people, even at the very mild dementia stage. So then, instead of offering it to people with very early onset of cognitive impairment, started offering it to people without any signs of cognitive impairment who were turning age 65 or 70 who were in my office as part of an Medicare annual wellness exam and all of the sudden it was just like night and day where people said, "Oh, my god. Thank you so much. This is exactly what's been on my mind. I'm so grateful to have it," and instead of a 0% response rate, I was suddenly getting an 80% response rate. Really changed to thinking of this as not something that is best suited for somebody with mild dementia, but for somebody who is turning age 65 or 70, who is nearing the at-risk age where they could develop cognitive impairment and that's really the situation where it's really taken off as a really important part of my practice and part of it as building the time in as part of the Medicare annual wellness visit, which now has Medicare sanctioned extra billing for advanced care planning. Barak Gaster: But if you spend more than 15 minutes talking about advanced care planning at a Medicare annual wellness visit, the RBUs double if you bill for the advanced care planning piece of that with no cost-sharing for the patient. So that has really become a really practical and effective model for how I'm using it in my practice. Lynn: So it actually is feasible to add this to standard advanced care planning, from a billing standpoint. Barak Gaster: It's really, really easy. The documentation is really simple and it's really what I hope could become the future. Eric: Well, I really wanna thank you for joining us on this podcast. We're gonna have links to your JAMA article, to your website, to the NPR and New York Times articles about dementia directives. And, again, truly appreciate the time you took with us today. Lynn: Thank you. Thanks for joining us. Alex: Thank you so much. Eric: How about before we end, Alex, do you wanna give us a little bit more of that song? Eric: Great. Thanks again and thanks to all our listeners for joining us for this week's GeriPal Podcast. Can't wait to try using this with patients and families. So interesting that this type of AD has captured peoples' interest in the community more than the standard non-disease specific AD!